It’s hard to juggle a family, career, social life and maintain your home dirt and dust-free. We at our company understand this very well. That’s why we offer the best domestic cleaning services in SW7 Kensington. We also know how good it feels to come back from work to a clean and spotless home. This isn’t an unattainable goal – all you have to do is book our company’s professional domestic cleaners – they are fully insured, well-trained perfectionists who will not leave your home until the very last speck of dust is cleaned up. If you need a high-quality domestic cleaner at affordable prices, Pro Cleaners Kensington are exactly what you’re looking for! Don’t have time to dust, vacuum clean, wash dishes and tidy up? 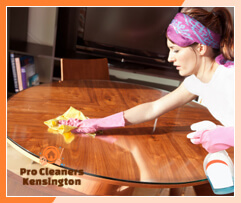 Our domestic cleaners in SW7 Kensington are the perfect solution for you! You can easily book us at your convenience any day of the week! All the job will get done in just a few hours so that you can return to a cosy home. You can count on our house cleaners to sweep the dust from your furniture, wipe all counter tops, mop the tiles in your bathroom, vacuum all your carpeting, clean your cabinets and drawers, do the dishes for you, remove cob webs, take the garbage out, put the clutter at bay and even make your beds if you have skipped on the task in the morning. And all that work will be finished in no time! We recognise how taxing maintaining a home on a daily-basis is. Especially when you are a busy parent and a professional who works around the clock to establish a career. Here’s where our domestic cleaners may come in handy to you. Our company has developed high-quality domestic cleaning services, trusted by thousands of people in SW7 Kensington to deliver the best results possible. And we always succeed in that thanks to our hard-working, diligent cleaners who love every single aspect of their job. They will clean your home in no time using products good for your child or pet and safe for the environment. To label our domestic cleaners as “good” would be a huge understatement – simply because they are the best in Kensington London. Book us in hours convenient for you and we’ll prove it!